Massages are growing in popularity amongst people with a number of ailments or those who just want a better way to relax. A key question surrounding the efficacy of massages is, “Can Massage Relieve Pain?” For millions of people who suffer from chronic pain and for whom pain relievers are ineffective or high risk, options like massage may provide a good alternative to controlling their pain. Massage can help relax people, while reducing stress and relieving pain. A recent systematic review in Pain Medicine substantiates these claims. By pooling 60 high-quality and seven low-quality studies, the review found that message therapy was superior to placebo in ailing pain. It also had the added benefit of a favorable safety profile which was very low in side effects (particularly in comparison to pharmacotherapy). There seem to be multiple mechanisms via which massages improve biomechanical, physiological, and psychological wellbeing. It truly is a lost art, having originally been described by Hippocrates, the father of medicine. A question that always persists with massage therapy is how long and how often patients need to get it in order to sustain the pain relieving effect. A study by a group of researchers in Seattle looked at this research question and found that those who got massages for 60 minutes two or three times a week had the best results followed by those who have 30 minute massages of the same frequency which was better than no massages at all. If you try massage therapy and do not witness results, it may be time to consider increasing the frequency as that seems to make a difference. A massage therapist can likely help any individualized questions you may have regarding a regular regimen. The effectiveness of massages has led even many traditional sites of care to start to adopt them. A survey by the American Hospital association found that 82% of hospitals offered massages to patients depending on what they were in for. The majority of these cases were used in order to help with pain relief. Given the favorable risk-benefit profile of massage therapy and the comparable profile of prescription medications, it is a wonder that the massage trend did not take off earlier. As the United States faces an opioid addiction epidemic, massages are likely to continue to grow in favor with both patients and providers. Given the damage that drugs can do, it may well become first line therapy in time. The Himalayan salt stones are great tools that will reduce tension, stress and relieve pain and inflammation. Himalayan Salt has 84 minerals and nutrients that naturally occur in our bodies. Through osmosis these nutrients naturally enter the body to activate your natural healing mechanisms allowing your body to restore its natural balance. Depending on how it’s applied, those minerals absorb into the skin balancing the body’s PH, aiding proper metabolism, helping with gastrointestinal issues, improving circulation and respiratory issues, and many other health benefits. This salt is of the highest quality. These salt stones can be heated on a heating pad to create a radiant heat that penetrates deep into sore, achy muscles. The heat coupled with the nutrients causes the body to release toxins that may be blocking the blood flow in that area. Because the skin is the largest organ and absorbs minerals as well as toxins, there is enormous benefit in using the salt stones over river stones. The magnesium within it helps to relax muscles and melt tension, and the other 84+ minerals and trace elements are beneficially absorbed to alkalize, gently draw out toxins. And because of the pure salt, it draws moisture to the upper layers of the skin, plumping and moisturizing, leaving the skin smooth and exfoliated. 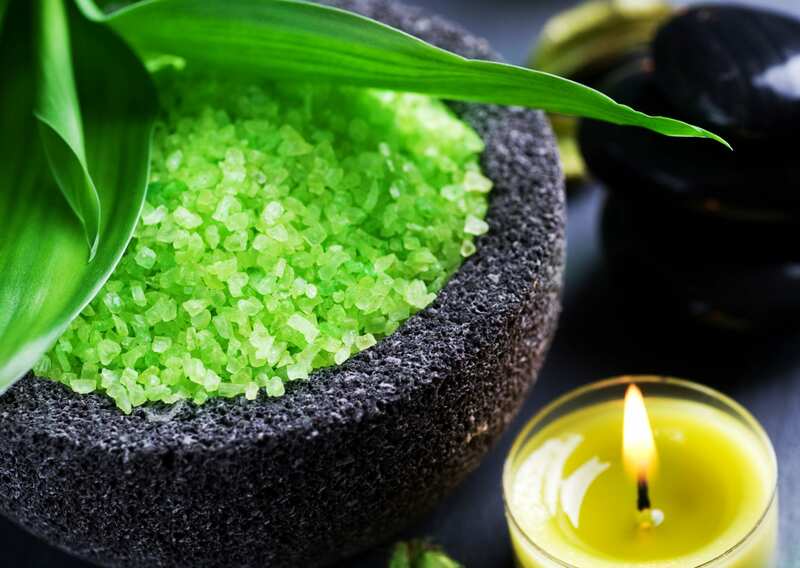 By adding Himalayan salt rocks to any massage session, the client get additional heat to allow the organic trace minerals to penetrate into the skin and body, which in turn balances the client’s central nervous system. It’s been said for years that aromatherapy does wonders for people. It’s still up in the air as to what clinical science says about the therapeutic benefits, but there are millions of people who swear by it. Aromatherapy is based on the notion that certain aromas and scents, when delivered in a special way, can trigger healing properties. The claims of success are numerous and one can find aromatherapy spas and websites all over. The basics are that essential oils derived from certain plants, herbs, and such when treated with heat or just presented to the olfactory senses can produce strong healing rejuvenating results. They’ve been used for countless centuries by cultures throughout the world. The human sense of smell and taste can detect around 10,000 different scents and the effects on the brain are being qualified now in labs around the world. It’s already documented that the memory centers of the brain can be triggered immensely by smell alone. Aromatherapy then uses the limbic system,the collective name for structures in the brain involved in emotion, motivation, and emotional association with memory, to produce positive results. When done correctly, a sense of well being and healing occur. Claims such as better skin, eyesight, relief from chronic pain, better memory, and just about every malady we can list can benefit from aromatherapy. For people who are stressed out, aromatherapy is considered one of the best remedies available. In regards to scents that we found soothing as children and are no longer in our environment, when presented via aromatherapy can trigger a tsunami of great feelings and memories. It’s no doubt whatsoever that aroma therapy does something but it will take more study to qualify and quantify. As more people are treated the results will come in regarding aromatherapy. The plants and herbs from where the essential oils are derived are available easily and it takes a good practitioner of aromatherapy to bring about the right results. We know mood can affect our bodies drastically. Mind over matter, one might say. If a scent can trigger the right responses from the body like increasing the immune system’s defenses or relieving chronic headaches, acne, blood flow, then all the better. Just the aroma and scent of an oil that can affect the olfactory centers and produce certain chemical responses to the body. Considering how old this therapy is, it isn’t going anywhere anytime soon. While the Ashiatsu massage had been confined within the countries of Hawaii, Fiji, Japan, China, Thailand, Tonga, and India for more than three thousand years, it has grown in popularity in the present times. It has become popular on a global scale. Ashiatsu had been a homely practice for long time where family members massaged each other with feet on the mat or floor. It is now being practiced on the massage tables and studios. The original style was not as structured and the family members got creative and tried new and improved methods when they offered the massage. 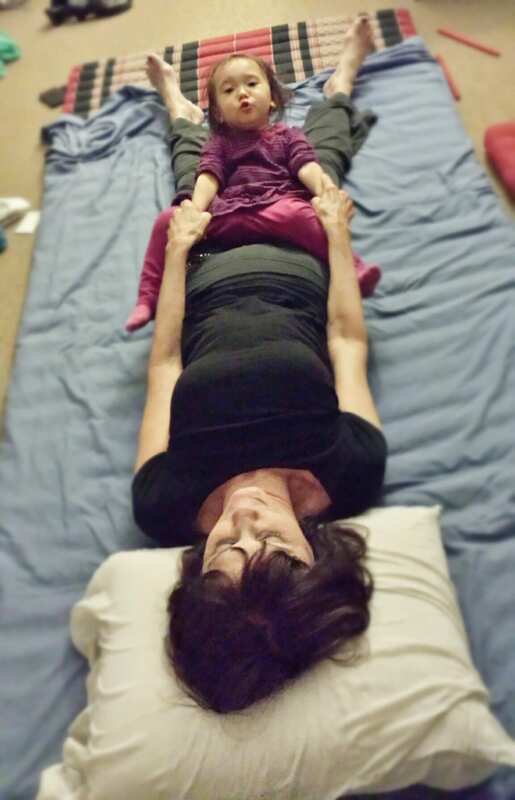 They brought new techniques and procedures into the Ashiatsu massage. When Ashiatsu has just stepped out into the greater world, the massage therapists and practitioners seemed to have more interest in energy or Chi, rather than in comforting and easing muscle pains. According to traditional Ashiatsu, people follow yin meridians’ flow coming from earth and yang meridians’ flow coming from heaven. The main focus is directed on the energy map of the body in the massage therapy. 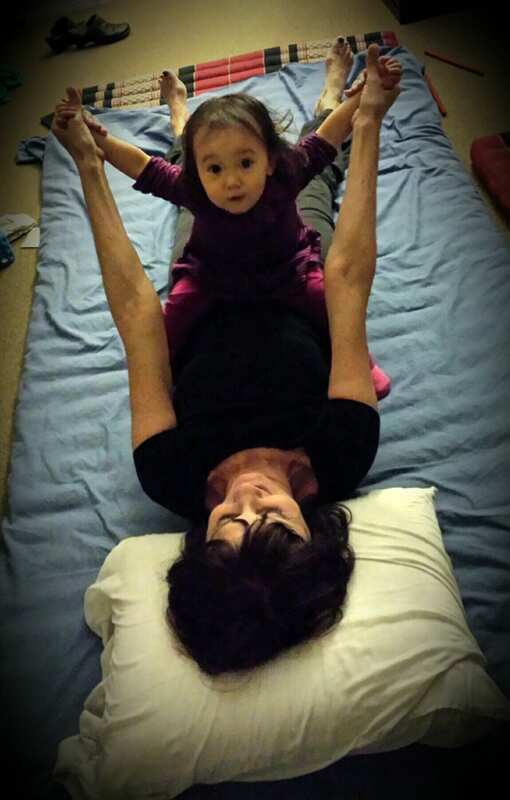 This is the reason why Ashiatsu was not originally considered a massage form. Rather, it was considered an art of healing that passed down the generations. There are a number of benefits offered by Ashiatsu. This massage treatment induces deep relaxation and relieves stress. The massage also helps to free the tightened muscles and also stimulate the self healing abilities and immunity of the body. The practitioners offer such massage which keeps the clients feeling stimulated and refreshed. The massage therapy is useful for athletic maintenance and for sports preparation too. This is because the treatment stretches and enlarges the large muscles. When the therapy is offered for a greater time or in a greater detail, it is able to warm up large muscles. The massage is especially effective on those that are muscular. However, there are no such restrictions or specified body types for receiving the Ashiatsu massage. Ashiatsu is a deep massage of the tissues which gives the feeling of a quality workout and leaves them feeling relaxed and refreshed. Ideally, the Ashiatsu massage takes at least an hour, so that the therapist get enough time to massage the large muscles thoroughly with feet. The smaller muscles are massaged with hands. The Ashiatsu massage offers other benefits, which include reduction of stress, relieving the tight muscles, deep relaxation, and stimulation of the self healing abilities of the body. The massage requires the therapist to stand on the body of the person receiving the massage and move about on the body. There are overhead bars to facilitate a better distribution of weight. They use their feet in varied ways to control the weight exerted on different areas of the body. In general, feet are used to offer compression strokes to the larger muscles at the top and back of the legs. Does Massage Really Make A Health Difference? Just about everyone has had or heard about the benefits of massage. Just a cursory glance on a search engine will find millions of websites devoted to the practice. It’s as old as civilization itself and probably older. People who have had massage will make all kinds of claims regarding the benefits of massage. From the relief of headaches, backache, even immune system improvement. The list of maladies that people claim have been remedied by massage seem endless but it is more than just a subjective issue as science has researched the benefits of massage within the realm of stress relief. Stress is considered the silent killer along with blood pressure and diabetes II. Massage as part of a stress relief regimen is almost textbook. 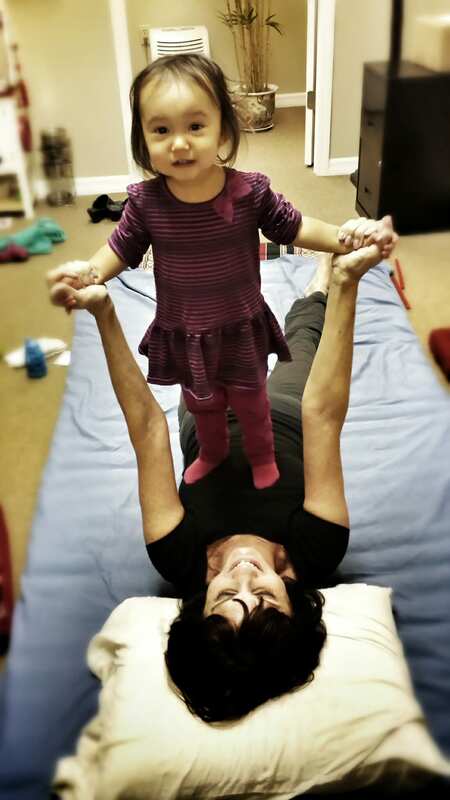 From athletes to business people always on the go to moms and dads who have to deal with everyday pressures and kids, massage can help greatly in letting off that pent up energy in the muscles and mind. Anything natural that relieves stress is beneficial. Stress can alter one’s immune system, digestive and endocrine systems and more. Once these systems become compromised it’s a downward spiral to health problems that can be severe to say the least. A doctor will notice the symptoms of stress and recommend a variety of approaches. They know that each patient is different and that the source of their stress is too. The bottom line is that massage seems to handle a number of underlying reasons for stress be they mental and/or physical. Our diets, rest cycles, interrelationships, problem solving can all lead to tensions that get bottled up with no release. Massage, practiced by a professional can address the body’s tension and affect the mind as well. The mind is one of the main reasons for stress as anxiety or depression can cause any number of manifestations physically. Massage can work on this and the results collected by modern science cannot be denied. If you’re suffering from stress, tension, headaches and such symptoms, ask your doctor about massage. They’re sure to have a list of professionals that they can recommend and send you to. They’ll monitor what you’re doing and your progress and work out a stress relief regimen that you can easily follow. If you’re at a gym ask about massage as well. Maybe even your employer might have an option for you. It’s ever wise to make sure you don’t get stressed out and that means taking into account that massage might be just the thing for you. football player getting stretched before the game or even worked on after the game has finished, the massage therapist (or sports trainer) working on them knows exactly what they’re doing. They don’t get massages just for the fun of getting a massage. Athletes take massage very serious as some even keep a professional massage therapist on their payroll. Some people tend to think that massages have no positive effect on athletes, but those people couldn’t be further from the truth. These days anybody who is a sports fanatic will know that athletes need massages to keep themselves in peak physical condition, and we’re about to go through why they need these massages. In retrospect, you can’t blame them for enjoying a massage every now and then, even if it didn’t have positive effects for their field of work (although in this case it really does have a benefit). Whenever an athlete feels like something is pulled or out of place (muscle wise that is), they automatically bring it up to their team massage therapist. There are a plethora of different massaging techniques to use on a person, but the therapist knows exactly which one to apply to certain injuries. On top of the loosening of tight muscles, massages actually help the cardiovascular activity of athletes as well. 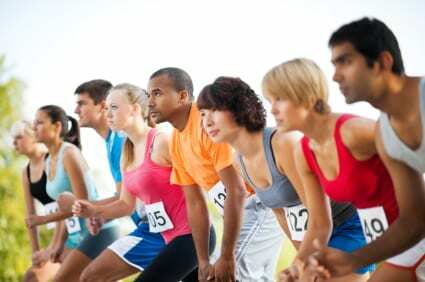 The sport massage gets your blood flowing and gets you ready for whatever is headed your way next, which is exactly why athletes have the tendency to receive a sport massage massage before their events. The enhanced circulation of blood that you will be blessed with is really a god send. It not only helps the blood move around your body quicker but it also promotes the relief of any muscle tension you may have. Since shortening the recovery process of an injury is also important to athletes, massages play an important role in that respect as well. On top of the physical traits that a sport massage can bring to the table, there are also an abundance of psychological effects. Massage does play an all important part in medicine. But there are a number of medical professionals who doesn’t agree with this. Having all the kinks and knots worked out is much more than just mere pampering. It is all about improving the general health and assisting one to feel better, both physically and emotionally. One cannot term relaxation to be a form of luxury. As far as emotional health is concerned, massage-inducing relaxation is actually quite good. It helps in reducing the stress and improving one’s well-being. Also, while one is letting go of their troubles to melt away, they are experiencing pain relief simultaneously. Therapy sessions on a regular basis can be of great help to those who are suffering from neck pain, back pain and muscle tension that one generally associates with a desk job.